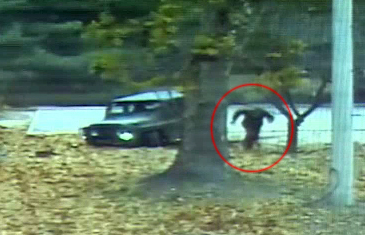 Oh Chong-song, the North Korean soldier who defected to the South through the Joint Security Area at Panmunjeom on Nov. 13, is the son of a ranking North Korean military official, reported a Korean cable news channel. “The soldier-defector is the son of a North Korean military police official with a rank equivalent to a South Korean lieutenant colonel,” a member of the parliamentary committee on national defense was quoted as saying by Channel A. It has not been confirmed, however, whether his father is still in active service. North Korea watchers have assumed Oh to be an elite, as soldiers with good family backgrounds are usually deployed to the JSA. The fact that he drove a military vehicle and wore socks instead of foot muffs that ordinary soldiers wear was another indicator of his family connections. Oh also told Lee Cook-jong, the surgeon who performed surgery on him, that he wanted to study law.